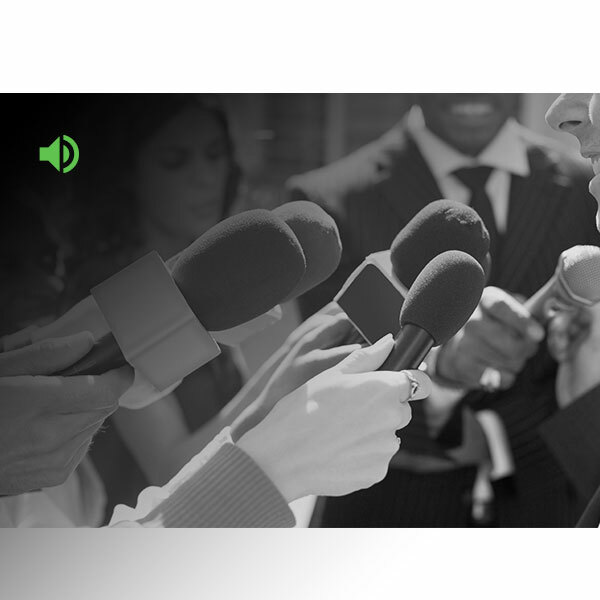 Gallup and the John S. and James L. Knight Foundation have continued their study of Americans' opinions of news media with their recent study, Major Internet Companies as News Editors. The study provides a deeper look at the public's views on large internet companies like Facebook, Google and Twitter playing the role of disseminator and editor of news stories. This representative survey of U.S. adults found that most Americans are concerned with the prospect of internet companies tailoring news to users based on their interests and behavior. 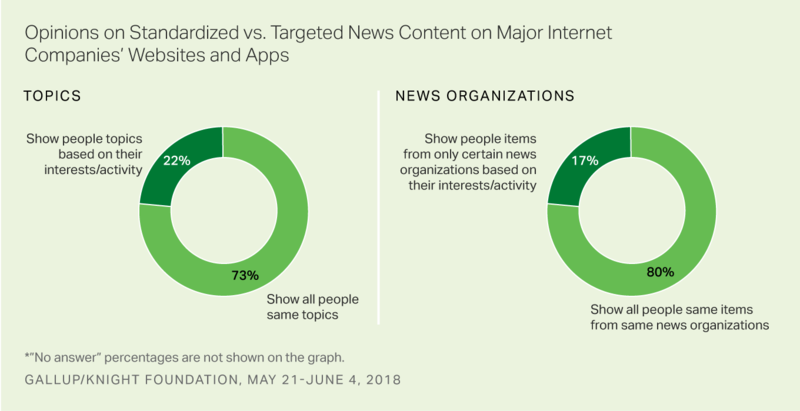 Seventy-three percent of U.S. adults prefer that companies show all people the same set of news topics, rather than tailor topics based on their interests, past browsing details or search history. Further, 80% think the choice of news organizations' stories they show people should be similar, rather than varying news organization stories based on a person's past internet activity. Even though Americans express concerns about major internet companies playing a news editorial function, they tend not to believe those companies are endorsing a story's message or its accuracy when it appears on their website or app. Forty-three percent of U.S. adults equate an internet companies' displaying content on its platforms as an endorsement of it, while 55% do not. A minority of Democrats (27%) compared to a majority of Republicans (62%) believe that internet companies are endorsing the news stories that they display. Regulating misinformation or suspicious content creates a fine line for these major internet companies. Although 80% of adults favor companies excluding suspected misinformation from their web platforms in an effort to stop the spread of misinformation, the public opposes internet companies playing the role of editor for other reasons, such as bias or offensive content. U.S. adults also overwhelmingly believe that companies should be more transparent about their methodology for targeting content to users. Eighty-eight percent say that companies should disclose their methods for selecting items, further indicating that users aren't comfortable with major internet companies playing the role of news editor. The survey found majorities of Americans saying they see news items about current events on Google and Facebook at least weekly. That level of exposure likely indicates that these companies significantly influence the way Americans perceive current events. Americans are not only uncomfortable with these companies exercising their influence over news content, but want increased transparency for methods by which these companies tailor their content. Internet companies that provide news to their users are coming under increased public scrutiny; Facebook CEO Mark Zuckerberg's widely covered congressional testimony this year made clear that leaders of these companies are being held accountable for their companies' actions. For more information on major internet companies as news editors, read the full report here. Gallup and Knight Foundation acknowledge support for this research provided by the Ford Foundation, the Bill & Melinda Gates Foundation and the Open Society Foundations. A news source rating tool can help consumers of online information discern between real and false news content.